We stock on of the most extensive ranges of garage equipment in Ireland including tyre changers, wheel balancers, car lifts, wheel alignment and more. Please browse the categories above to find what you're looking for at an excellent price. We don't do cheap garage equipment, we do quality garage equipment at excellent prices. RAV 2 post free floor lift The Balco A200 4 wheel alignment system provides proven alignment technology in an economical and powerful package. 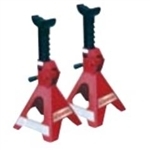 Pair of 2 ton axle stands Plastic Mounting Head For SICE, Corghi, Hoffman The ideal lift for servicing tyres, brakes, suspension and bodywork. This lift of the latest generation has the following features: electro-hydraulic operation, high loading capacity and elevated lifting height, rapid cycle times. It guarantees the user maximun safety and practical and convenient usage.